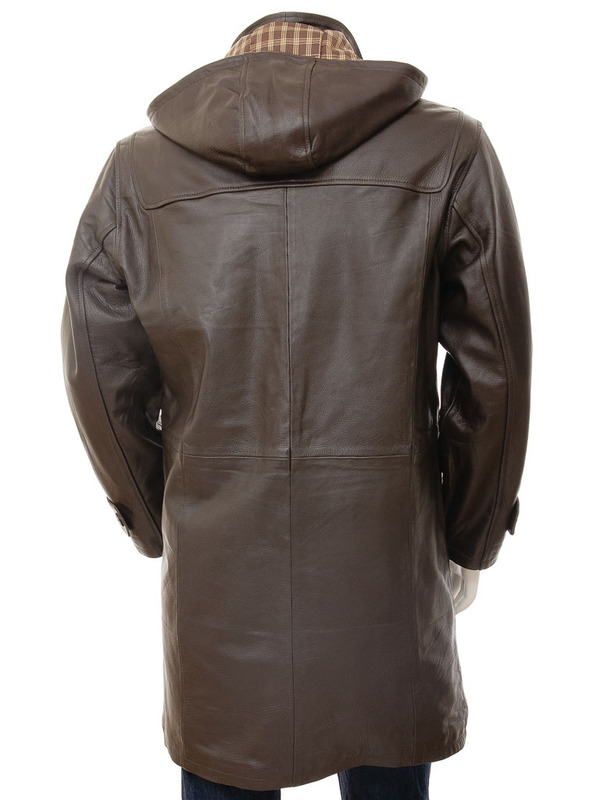 At last, after many requests, the famous leather duffle coat in brown. 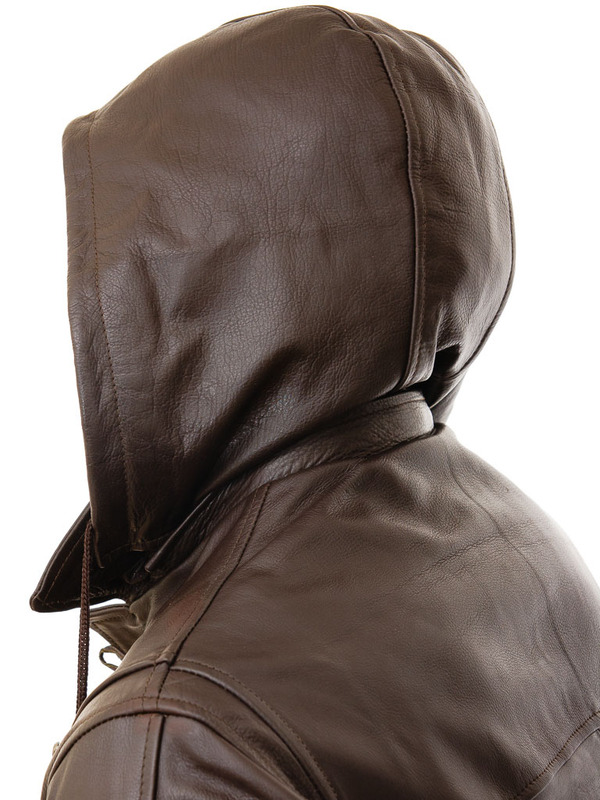 All the details are as you would expect of this iconic garment. 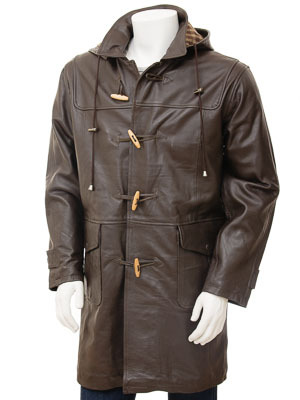 Made from a thick cow hide with a full YKK zip front concealed with wood and leather toggles. 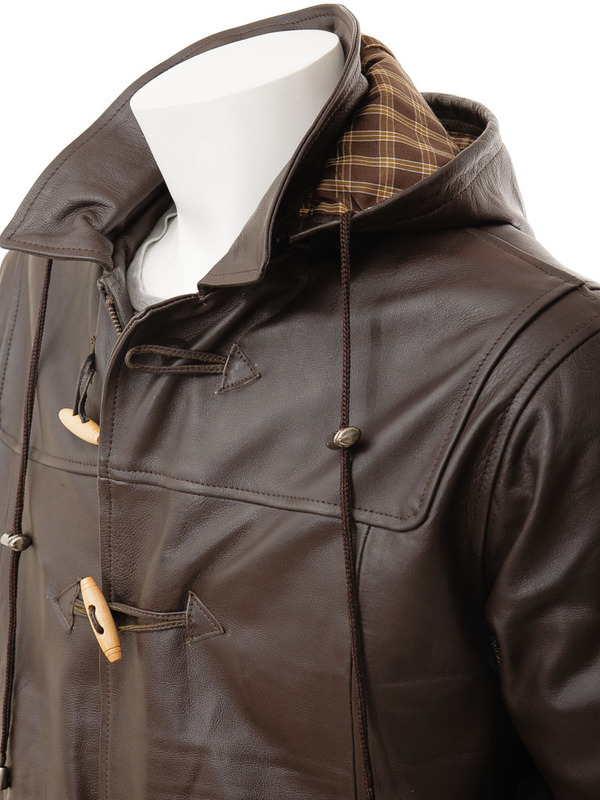 As well as a shirt style collar there is a zip-off hood for those wet days and two press stud, deep patch pockets. The authentic detailing extends to the shoulder panelling, cuff straps and check quilted lining. 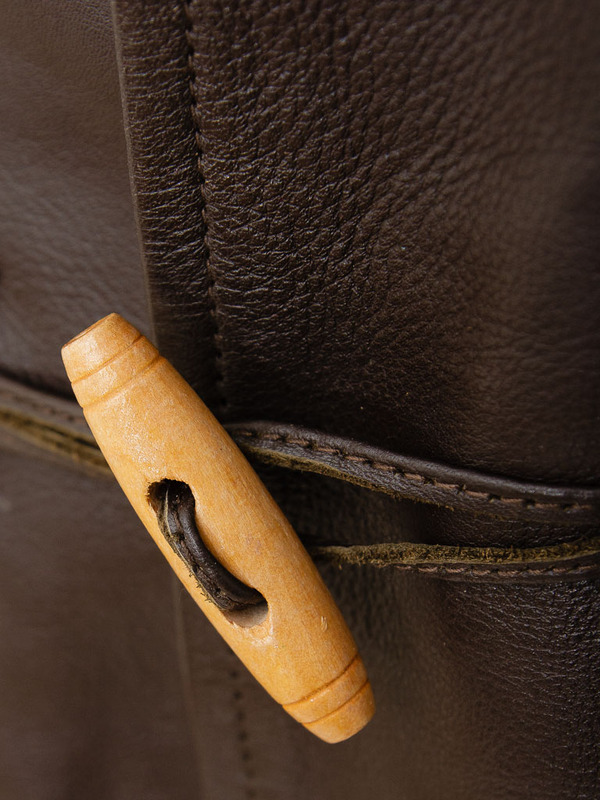 There are also three internal pockets, one of which is zipped.